Why don't they match? Why?! Because Monday was Memorial Day and I had the day off, I slept in, which resulted in me not going to sleep until late Monday night/early Tuesday morning. I probably got about four and half hours sleep, which is much less than I need. I was fine until about 9 p.m. when my tiredness hit me like a ton of bricks, and since I was watching the Mets game, I decided that I would go to bed as soon as it was over. At 10:15 p.m. I found myself in bed, and after reading one page of my magazine, I went to sleep. I was awakened by my alarm clock at 6:30 a.m. As I was taking the requisite 30 minutes to wake up, I glanced out the window and thought that it was quite dark for the time of year, but figured that it was either raining or going to rain. At about 7:15 a.m. I got out of bed and started my morning routine. I was about three-quarters of the way through my cup of coffee, watching SportsCenter, and reading the news, when I just happened to glance at the clock on my living room wall. It said 5:45 a.m. I made a mental note to replace the battery in it. I then looked at the clock in the corner of my computer, and it said — you guessed it — 5:45 a.m. Twilight Zone music started going in my head. I grabbed my iPhone and it agreed. I grabbed my BlackBerry and, although it complained about it being too early, it agreed as well. 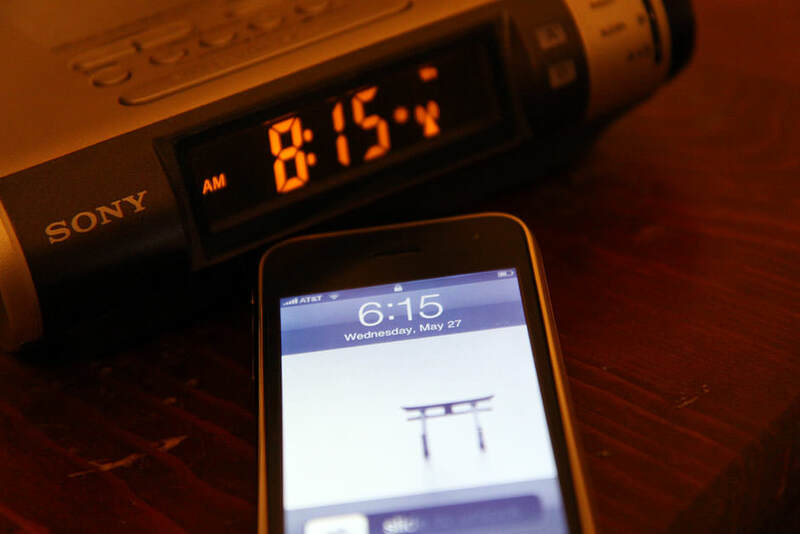 In the middle of the night, my alarm clock’s time advanced by two hours. That means that I originally woke up at 4:30 a.m. and got out of bed at 5:15 a.m.
No wonder it was so dark out.